We've released two new e-books. 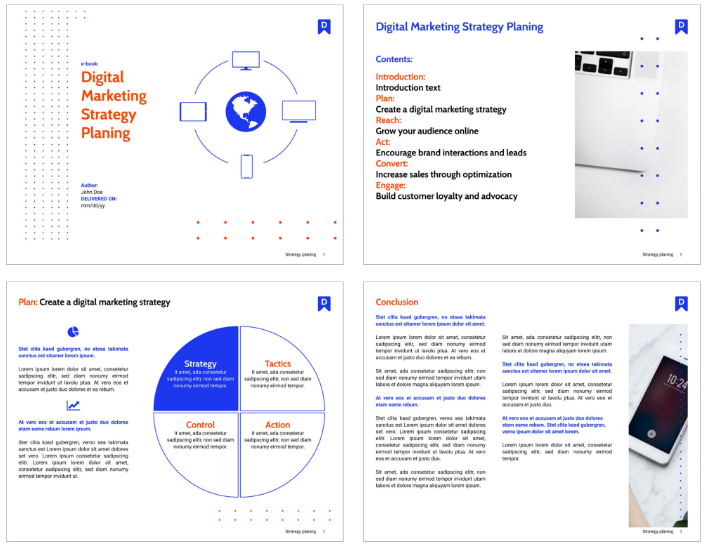 Build your digital marketing plan with our new e-book. It will help you to consider all the important information your e-book should include. 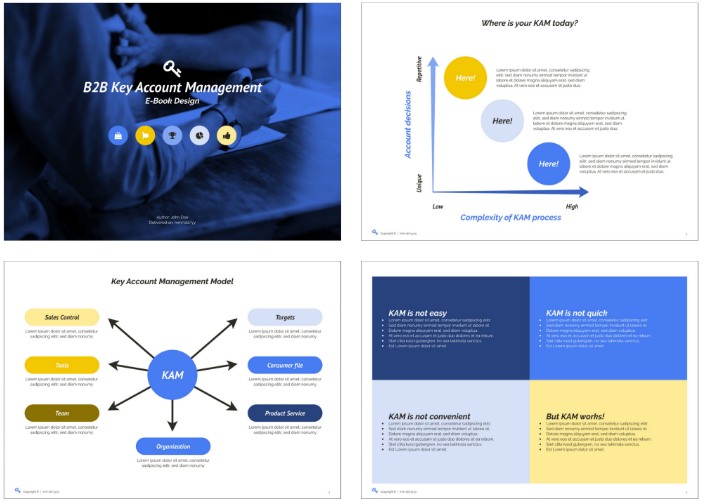 Customize this e-book for your key account management and let it win business. 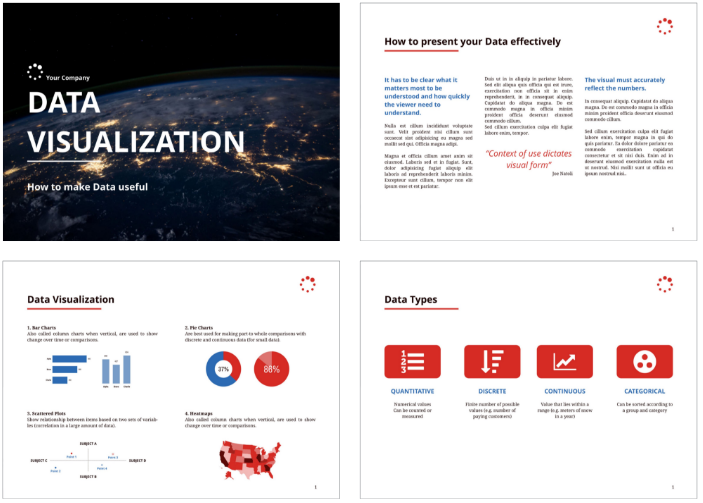 Visualize and showcase your information with our professionally designed booklets. The logos in presentations have been adjusted to deliver a better result when users replace the logo with their own one.